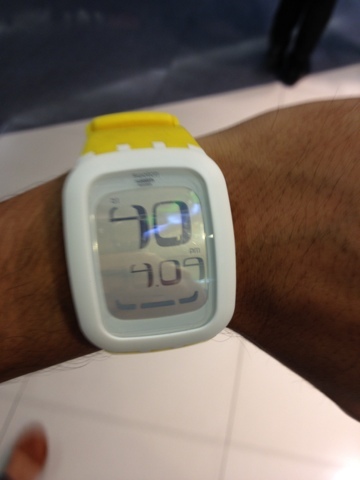 I bought my yellow swatch touch wristwatch for P6,000 last may 2011. By january i notices some dead pixels on the left side of the watch' face. I planned on ignoring it but realized the damage is growing. Thats when i decided to get it replaced. Swatch MegaMall is located at Ground Floor SM MegaMall building B.
Swatch touch has 2 years warranty.